I have always been keen to help others. Since moving to Keyworth, I have become increasingly involved in village life. I am a mother of four, grandmother of five. My youngest child attends Willow Brook Primary School, and I am an enthusiastic member of the Friends of Willow Brook and School Governor. I have volunteered as a helper with Keyworth Beavers. 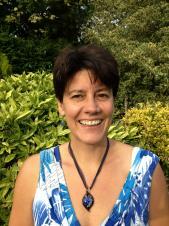 I am a Netball Europe 'A' umpire and regularly umpire netball at Regional and National levels. Previously I have been a netball coach to players from primary school through to adults. I have been able to see the positive effects of sport, physical activity, clubs and teamwork on the development of young people, and am keen to help promote such opportunities within Keyworth. I am a lecturer at the University of Nottingham, with research interests around genetics and ecology of ladybirds. I am also very active in the University's commitment equality and diversity-focused working practices. In particular I champion the Athena SWAN ethos, enhancing the recruitment, retention and promotion of women in science subjects. I have been involved in staff development and training, in representing the views and interests of individuals and in developing and implementing best practice across the University. It is my hope that I can use this experience to the benefit of all in Keyworth. XHTML 1.0 validated. WCAG compliant. Page generated in 0.1872 seconds.